Want to know the truth about arch support? 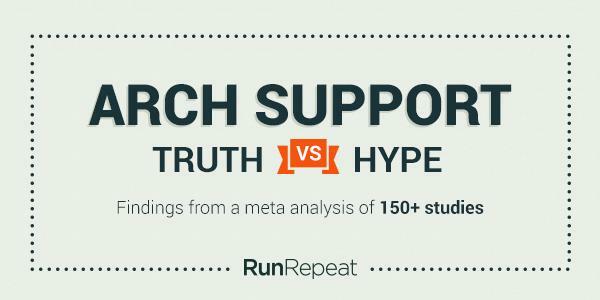 This research article took more than 185 hours and we've gone through 150+ studies and resources about arch support to assess its effect on performance, balance, and injury risk in running. We offer you nothing but facts backed up by scientific evidence. Why did we feel the need for this research? According to 2016 National Runner Survey, motion control, cushion, stability, and injury prevention were some of the biggest concerns on buyers' mind. Interestingly enough, the recommendation from salesperson turned out to be the second biggest influence on shoe selection. Science is expensive, isn't it? Knowing that people are looking for and paying extra for arch support in running shoes, we wanted to confirm if these shoes can actually live up to the promises? Is there scientific evidence behind recommendations of the salesmen in stores? How good are neutral shoes like Nike Odyssey React, Nike Air Max 2016, or Nike Free RN Flyknit 2017. We took it upon ourselves to find the answer. We have gone through everything we can find about arch support and pronation. It includes a good deal of scientific studies and research about arch support, pronation, and injury risks for runners. We have checked the sources and citations quoted by both sides (pro & anti). We then got in touch with the following experts to get their opinion. After going through the research and expert opinion, we can conclude that arch support is not a quick fix for injuries, pronation, or performance related issues. However, it can help in specific conditions or injuries, especially custom orthotics prescribed by qualified experts. Here's an infographic that presents the key findings. These are the main findings but don't make your mind yet. Below, we will discuss these findings in detail. First a little bit about Arch. Why do we have the arch in our feet? Some research also hints at a role in gripping and climbing trees. The arch absorbs the shock and compresses when our feet hit the ground. The tendons and ligaments in the arch can store elastic energy. 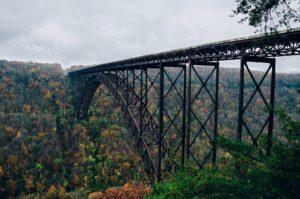 This energy is used in the second stage as the arch recoils and pushes us forward. The compression and recoil save a lot of effort, much like the bounce of a rubber ball. It can save and return up to 17% of the mechanical effort. Running would have been a lot more tiring if we didn't have this spring-like mechanism in our feet. Arch height, width, and shape differ from one person to another. Babies are born with flat feet. The arch starts to take shape during the childhood, and the shape keeps changing from childhood to adolescence. There are three different types of arches, normal arch, high arch, and fallen arch (flat feet). People with flat feet or low arch usually pronate more and people with high arch pronate less that the average. Under pronation or outward roll is also referred to as supination. Pronation is the natural inward movement when our feet hit the ground. This helps with shock absorption and body weight support. You will find sources that talk about pronation or a specific arch type as the biggest culprit behind all problems and injuries related to running. It is observed that overpronators have a slightly higher risk of injury in the leg and foot region but there are many studies that didn’t find a link between moderate pronation and injury risk. In one of these studies, researchers compared 53 highly supinated, 369 supinated, 122 pronated, 18 highly pronated, and 1292 neutral foot types. After a year of follow-up, a total of 252 participants reported running related injuries, and researchers concluded that moderate pronation is not associated with higher risk of injury. 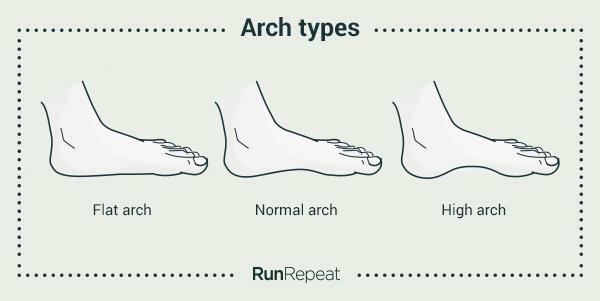 Different shoes and arch supports are suggested for different types of arches. 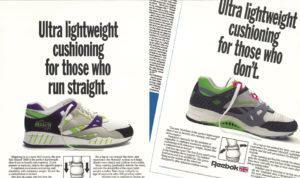 However, there is no conclusive study to confirm that a specific type of shoe can correct pronation or foot posture. In fact, pronation is found to be the least in barefoot runners. The idea of the arch support is not new. Orthotics and insoles have been in use since the nineteenth century. However, the first concept of the modern shoe inserts or arch support probably came from the podiatrist, William Mathias Scholl, who founded the Dr Scholl's brand. These days, almost all brands have shoes which are designed to suit certain arch types or foot patterns. Stability shoes for neutral feet, motion control for flat feet, cushioned shoes for high arches, and the crossovers like neutral cushioned. The users and the advocates of arch support claim that it corrects the posture and provides balance to flat footed people. For people with high arches, it offers proper alignment and stability. Runners with normal arch need arch support for injury prevention and shock absorption. People suffering from an injury or pain in lower extremity need it for pain management and recovery. We have tried to find if there's scientific evidence or truth to any of these claims. Running is a popular fitness and recreational activity. Marathon popularity has grown by 13.25%. Some countries had seen more than 200% growth. This is, of course, a good trend but there’s one problem. As many as 70% of runners can suffer from overuse injuries in a year. These injuries range from muscle strains to stress fractures. Stress fractures are a result of repetitive force or overuse. Continuous stress disturbs the natural bone remodeling process. Let's see if arch support can help prevent these injuries. Here’s a detailed review of more than 423 scientific publications about stress fractures in the lower extremity. The study points at multiple risk factors including intrinsic factors like gender, age, lifestyle, physical fitness, muscle strength, or flexibility, and extrinsic factors like sports type, equipment, and environmental factors. The arch support or a specific type of shoe cannot control any of these factors except equipment. We found another study that shows no link between foot pronation and increased injury risk in novice runners wearing neutral shoes. It means that the choice of shoe doesn't make a huge difference to injury risk. This study looks into the matter in more detail. A group of marine corps trainers was given motion control, stability, and cushion shoes according to their foot types. 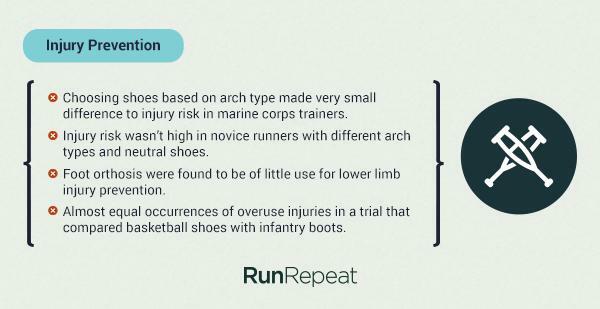 After a 12 weeks training program, researchers concluded that choosing shoes based on arch type made very little difference to injury risk. Various other studies have found little or no improvement in stress fractures or injuries while using different types of insoles. See this, and this. In fact, basketball shoes didn't make any difference to the overall instances of stress fractures and injuries when compared to infantry boots. However, there was a small reduction in the incidents of overuse injuries in the foot region. Orthotic inserts reduced femoral stress injuries but made no difference in the overall instances of injuries. Similar results were seen in this study about "effectiveness of foot orthoses for treatment and prevention of lower limb injuries". Another group of researchers tested zero drop shoes with standard cushion and found no change in injury risk. All these studies indicate that arch support might reduce overuse injuries in the foot region to some extent. However, the overall risk of injury stays the same. There is some evidence to suggest that arch support can help prevent injuries. For example, a study has shown that motion control shoes can help reduce the risk of injury for people with pronated feet. Also, newer shoes resulted in a slightly lower risk of injury compared to older shoes. 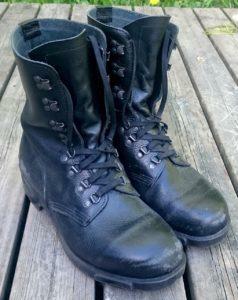 However, more pricey shoes are not necessarily better or safer than the inexpensive ones. A study by RunRepeat has shown that expensive running shoes are rated lower than the more affordable ones. In view of all these studies, we can conclude that arch type or pronation is not a major factor as far as stress fractures or impact injuries are concerned. Choosing a specific type of shoe because it is recommended for your arch type will not protect you from injuries. Arch support or orthotics might be of help in some cases but the difference is too small to be clinically important. Running economy is a term used to describe the effort we put into running. Just like fuel economy in cars, running economy refers to the distance traveled and energy consumed. The less energy consumed, the longer and farther you will be able to run. It’s worth noting that all top 4 marathon record holders achieved this feat while wearing Adidas running shoes. Many running shoes promise to enhance performance. Nike has recently introduced a new shoe (Zoom Vaporfly Elite) that boast about breaking the two hours marathon barrier. Adidas has made the same claims about its Adizero Sub2. Is the magic really in the sole? Let’s find out. We have discussed how the spring-like mechanism stores energy and uses it to propel us forward. Some running shoes or shoe inserts can interfere with this mechanism. In other words, you will end up wasting more energy if your arch support is restricting the compression. A team of researchers found that restricting arch compression for up to 80% increased metabolic cost by 6% during running. There are multiple studies that suggest barefoot or minimal shod runners have better running economy compared to shod runners. This one found that lack of cushion lead to better economy. Another study states that barefoot running can improve running economy in high-intensity exercises. Barefoot running was found to be more economical on treadmill and track compared to shod running in this study. A meta-analysis of 13 studies concluded that barefoot or minimalist runners have better economy compared to shod runners. However, the difference was small and authors have mentioned a high risk of bias in the studies reviewed. Now some studies that point in the other direction. A study of 9 runners revealed that running economy is not different across footwear. Certain models of footwear can improve running economy as observed in a systematic review of 19 studies. Also, shoes with the soft midsole and cushioning can reduce the need for metabolic power but only to some extent (just 1% according to this study). Same is the case with energy return footwear that improves overall comfort and oxygen consumption. Some of these studies seem to contradict each other. This can be because of different footwear and shoes used in different studies. 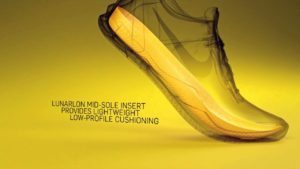 However, looking at the results of these studies, we can conclude that arch supports or special types of soles cannot make a huge difference to your performance. Things might change in future with the coming of next generation shoes. Some of them are going as far as using a spring plate in the soles (already patented by Nike). But these are intended for professional athletes, and not for recreational runners. From Nike’s air pockets to Asics’s gel, Reebok’s Zigtech design to Adidas’s Energy Boost, the cushioning has been a major selling point for running shoes. Is it good to have excessive padding and cushion under your arches? In a research carried out at McGill University, researchers found that the more padding we have, the harder we hit the ground. This is because we need to have a sense of ground to maintain our balance. Similar observations were made in another study that the impact is more forceful when runners wore maximally cushioned shoes. It’s not just the strike. The impact goes all the way up to your knees. The impact was 12% higher in padded shoes compared to barefoot walking. Regardless of the padding or cushion in your shoes, there's less impact when you land on the balls of your feet. Interestingly enough, your choice of shoes can influence the way you land. Barefoot or minimal shod runners tend to land on forefoot or midfoot, which is good for shock absorption. Runners in modern shoes with cushion and all will usually land on rear-foot. In general, feet with normal arch are better at shock absorption compared to high arches. This is where an arch support or orthotic device can help. 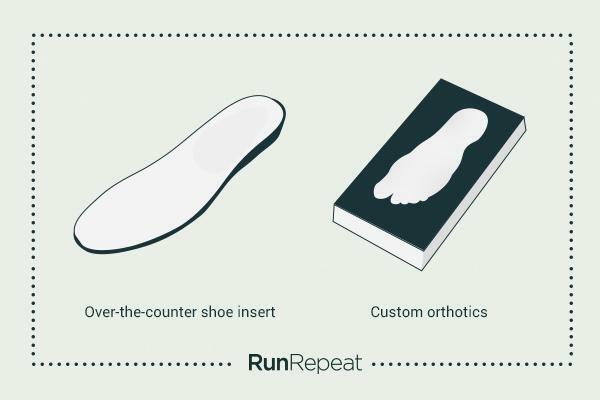 However, it’s better to use a custom molded insole instead of a typical arch support. So, those arch supports or insoles that you are sold by the salesperson in the store might not make much difference. The right posture and technique are important in everything you do, be it the work, exercise, rest, or running. Good running posture will improve your breathing and you will feel more relaxed. Proper body alignment gives you more flexibility and strength, and make it easy to move ahead. Bad posture can put unnecessary strains on your joints and muscles. Other than the position of your head, shoulders, and arms, the right posture requires an efficient stride. A step too short or too long will increase injury risk and mess up your running efficiency. Same is the case with your strike pattern. Can shoes with arch support or motion control improve our stride and balance? It’s hard to think that a poor posture or technique can be corrected simply by changing shoes. Our skeletal movements are pre-programmed and a simple shoe insert is not going to change it. However, orthotics are recommended for stability and balance in people with specific conditions. They can improve posture and stability in the clinical population. For the healthy population, arch support made no real difference. Medial or lateral postings cannot shift COP (center of pressure) during running into the desired direction. Some improvement is possible but there is no surety. In a trial, the COP in almost half of the subjects went in a totally opposite direction. Over pronation or supination is often associated with poor balance in runners. You might think that "motion control" shoes can correct your gait all by itself. However, these shoes can make a very small difference (just 2% according to this study). Choosing or changing shoes based on specific arch type can be counterproductive. It was demonstrated in a trial when runners choose neutral, motion control, and stability shoes based on their foot type. After a 13 weeks marathon training programs, it was observed that runners with motion control shoes missed the most training days due to pain. If you are looking to improve your posture and balance, you need to focus on training and strengthening the right muscles. Simply changing your shoes is not going to make a difference. However, vibrating soles have shown some improvement in balance and agility for athletes, according to this research. The area from our hip to the toes is referred to as lower extremity. Lower extremity injuries are common in long distance runners, ranging from 19.4% to 79.3%. We’ve already discussed the role of arch support in preventing stress fractures. Let's see if it can help with lower extremity injuries linked to running. The most susceptible area for runners is the knee area, even more than the feet or ankles. Normally, the elevated load results in osteoarthritis of the knees. 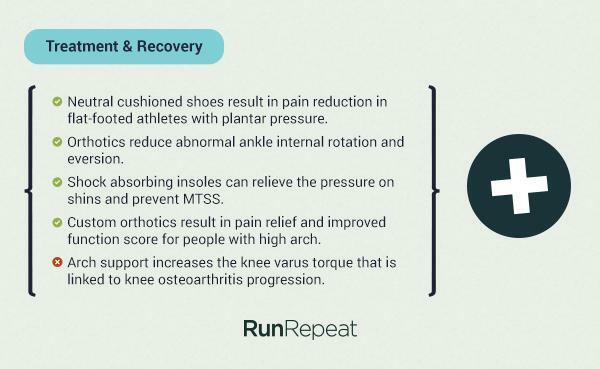 Before we look into the role of arch support, it is worth noting that running is not necessarily bad for knees. It's true that we put more load on knees when our feet hit the ground but this is balanced by the time we spend in the air. As a result, the load per unit distance is pretty much the same in walking and running. Coming back to arch support, using the arch support or certain type of footwear can interfere with your natural gait which results in more pressure on knees. No real improvement was seen on knee joint movements when runners used 5 different types of shoe inserts. Another study revealed that arch support can increase the knee varus torque that is linked to the progression of knee osteoarthritis. We didn’t find any evidence that arch support will help prevent knee related injuries or complications like osteoarthritis, however, people with a moderate level of osteoarthritis reported a reduction in pain after using laterally wedged foot orthoses. Heels are the second most vulnerable part for runners. Plantar fasciitis is a common complaint that results in stabbing pain in heels. Studies have shown a reduction in pain after using arch support, mainly because arch support provides a cushion to the affected area. Neutral cushioned shoes can result in the reduction of pain in flat-footed athletes with plantar pressure. Another trial was held on 43 patients with plantar fasciitis. During one year of follow-up, pain reduction and better foot related quality of life were reported. The study concludes with the recommendation that foot orthoses are good for plantar fasciitis treatment. Ankle sprain is usually a result of inversion (inward roll) or eversion (outward roll) of the ankle. Ankle sprains are very common in all sports and that includes running. Every year, almost 2 million people suffer from ankle sprains which account for 20% of all sports injuries in the US. Ankle injuries are also the most likely to re-occur. Athletes with an ankle injury in the past are 5 times more likely to suffer from another in future. Orthotics or arch support can lessen the load on Achilles tendon and it can also help with preventing these injuries in future. It can reduce ankle internal rotation and eversion during walking and running. Another study observed people with inversion ankle sprain and found that molded orthotics helped with balance and reduced pain during jogging. Unmolded orthotics were not of much help. It shows that molded orthotics can be used for recovery and speedy return to normal activity. 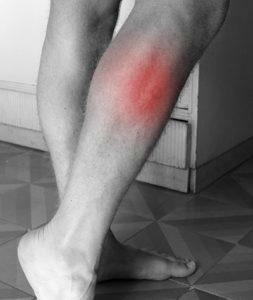 Shin splint is another common overuse injury in runners. People with flat feet are more prone to shin splints. Arch support can help with injury prevention, especially for flat footed people. Abnormal foot pronation can lead to medial tibial stress syndrome (shin splints). You can reduce the chance by controlling high pronation. Shock absorbing insoles can relieve the pressure on shins and prevent medial tibial stress syndrome. All these studies and research suggest that arch support can do very little to prevent injuries but it can surely help with pain management and recovery. Athletic footwear industry size has reached a whopping $80 billion according to Global Market Insights. Shoe manufacturing companies have huge marketing budgets. Salespersons would love to get some extra sales from customers who are in store. All these marketing campaigns and persuasion will make you think that a specific shoe or insert is the solution to all of your problems. See how these are focusing on the issues like pronation or cushion and how these shoes can help you with these. You will rarely find a shoe that doesn’t promise extra support, balance, cushion, or motion control. The question is do we really need extra support? Looking at all these studies and research reports, we can safely assume that it's not the case. Our feet are amazingly complex devices with 26 bones, 107 ligaments, 33 joints, and 19 muscles. A simple arch support can hardly improve upon this mechanical marvel? Arch support or custom orthotics can help in specific conditions. For example, when you are recovering from an injury or finding it hard to balance without support. Even in this case, arch support and orthotics are used as a part of treatment and not a cure. It’s worth mentioning a study that found that the feet of the unshod population are more healthy compared to European population with access to some of the most advanced footwear. Researchers also compared the feet of ancient skeletons and found that they were the healthiest of all. The arch support is surely not the be-all and end-all of everything related to running. Do I need arch support? If you are having no pain, or problem in walking or running, there is probably no need. Remember that pronation or a specific arch type is not a problem that must be fixed. Our arches and feet have an amazing support system. You will need outside help (i.e. arch support) in rare cases. However, the prescription must come from specialists like orthopedic doctors or podiatrists, not some salesperson or a random blogger on the web. That doesn’t mean shoes can make no difference. It’s just that you shouldn’t choose a shoe based on some wet test. Remember, recommending pronation control and similar shoes based on your foot type is not evidence based. Just because you have relatively high arches, doesn’t mean you need corrective shoes and inserts. People with a very high arch have a slightly higher chance of injuries. It was observed in a study where trainees with high foot arches sustain 3.9 times more injuries. If you have very high arches, and you are having issues with balance or injuries, you might be advised to use custom orthotics. Custom foot orthoses can result in 74% reduction in foot pain for people with high arches. In another study, custom orthotics resulted in better pain, function, and quality of life scores when compared to sham insoles. It shows that custom orthotics are better than over-the-counter arch support. High arch is not a disorder that must be treated. All foot types have their own strengths and weaknesses. High arches result in more pressure on plantar fascia and metatarsal and low arch results in more pressure on calcaneous, navicular, and cuboid. You must leverage your strengths and work on your weaknesses. Footwear is not going to do it for you. Do I need arch support for flat feet? A study examined the effect of flat feet on running ability in the short distance, middle distance, and long distance runners. People with normal arch performed better in 100-meter sprints and long distance. However, the performance was on par in 600-meter middle distance running. Unless you are into competitive sports or looking to perform better in short sprints or long distance, you don’t have to worry about your flat-footedness. Arch support can result in less oxygen consumption and a better economy in people with flat feet. Flat footed people have no rotational abnormalities of the lower limb. So, while your shoes need to be a good fit and they should complement your natural bio-mechanics but there's no need to get fixated with a specific type of shoe because you have flat feet. Do I need arch support or custom fitted orthotics? Custom fitted orthotics are better than over-the-counter arch support or insoles. If you are having problems or you want to improve your performance, you must consult a podiatrist. Prefabricated arch support might feel comfortable at first but you never know when it may start putting more strain on other joints or muscles leading to an injury. 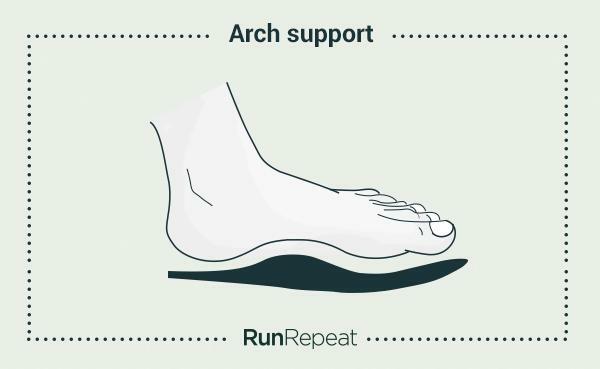 Arch support cannot make a huge difference to injury risk, balance, or performance for runners. There is no point spending extra money on arch support in shoes or shoe inserts, just because a salesman thinks your arch is a little too high or low. However, custom orthotics or specific shoes can help with pain management and dealing with certain foot related problems when used after consulting with a physician or certified coach. 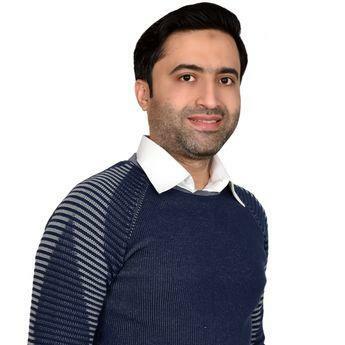 We will conclude the article with this wonderful advice from one of our experts. If you don't need an arch support, you probably shouldn't use one. It is the equivalent of wearing a cast when you don't have a stress fracture or broken bone. Why would you do that? The best forms of injury prevention are make sure your body is balanced in strength, mobility and flexibility, you are training smart and getting good sleep and nutrition. An arch support affects only one aspect of the body. Don't forget the big picture.